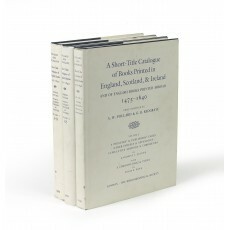 Three volumes (32 cm), I (1986): liii, 620 pp. II (1976): I-Z. xi, 494 pp. III (Indexes, 1991): xix, 405 pp. Publisher’s cloth, dust jacket. - Second edition, revised and enlarged. 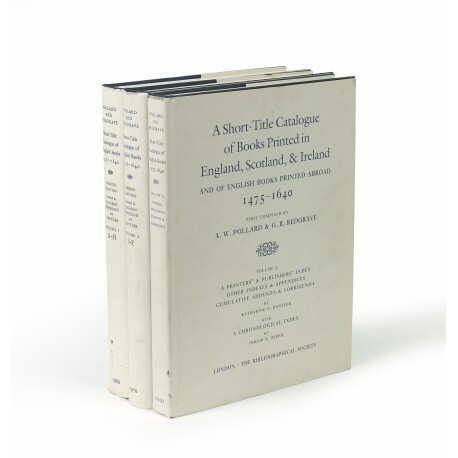 “The most meticulous and definitive extended work of bibliography, in any language and on any subject, ever achieved” (Arthur Freeman, “The complete New STC” in The Times Literary Supplement, 13 February 1987, p.170). 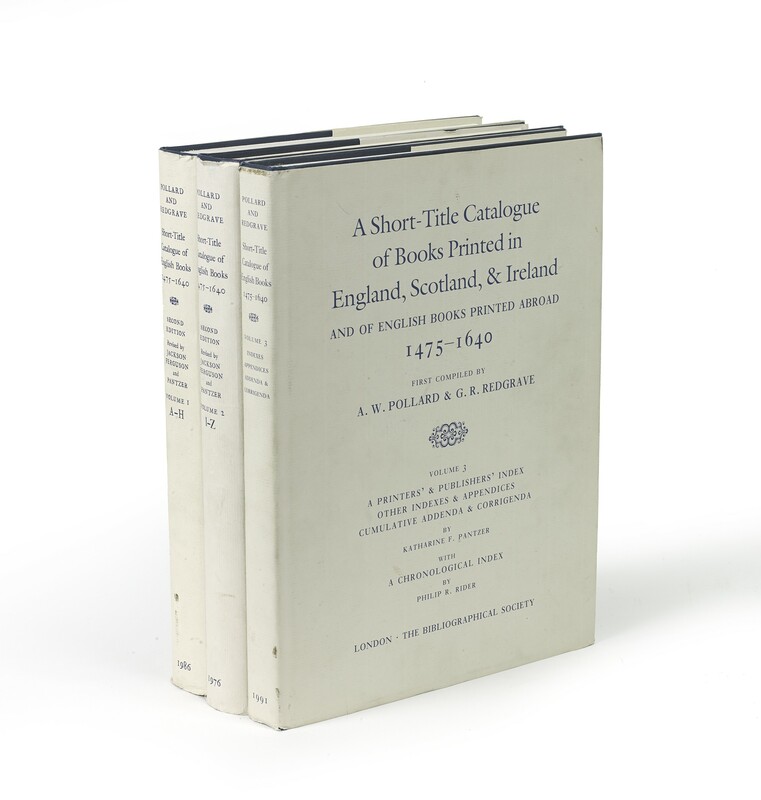 Sold to members of the Bibliographical Society (price £200), or currently obtainable from the Society’s agent Oak Knoll Books (price $795; Order Nr. 60371; www.oakknoll.com). ¶ A few handling marks on dust jackets; a fine set.